Tickleberry's in Okanagan Falls, British Columbia – Ice cream, sweets and more! See you all March 1st! Remember when that ice cream cone was the center of your whole world? Visit our gift shop and choose from our wonderful selection of chocolate-covered dried fruits, our real-fruit flavoured Ticklebeans, our carefully selected range of local crafts, windchimes, jewellry, hand bags, and garden accessories. Don’t forget we have unique Tickleberry’s magnets, postcards, and t-shirts to take back home! While you’re here, be sure to visit our Own Fudge Factory in-house, where you can watch all our delicious treats being created right before your eyes. 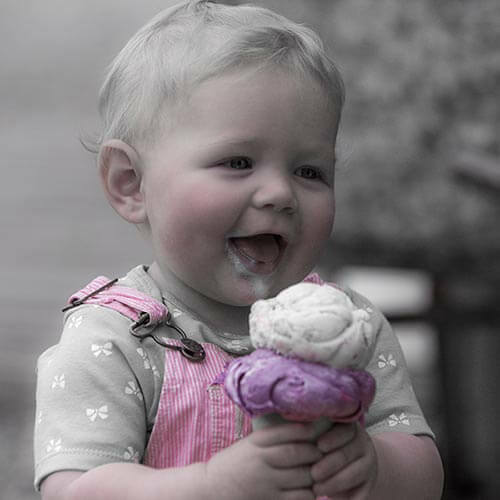 Did we mention that we have absolutely the finest ice cream in the Okanagan Valley? 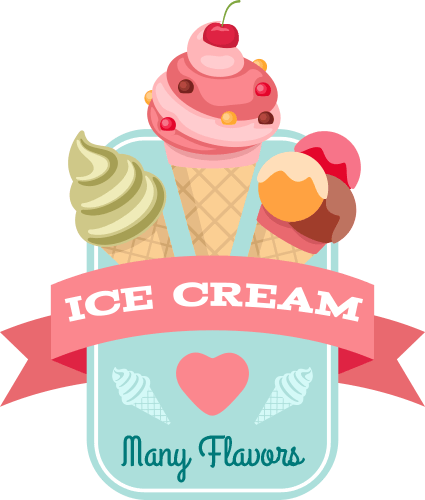 Not only that – we also stock 72 different kinds of ice cream and we’ll help you mix-and-match them on your choice of cone, in a wide range of sizes that will allow everyone to get just what they want! If you’re in a hurry to hit the road again, we do have various sizes of dishes for your ice cream to help you cut down on the drip-on-the-car seat problem (and napkins too, of course). But try not to be in a rush, relax and visit with us for a while – we guarantee that everyone in your group will find something fun to check out. COME VISIT THE TICKLEBERRY FAMILY AND ENJOY A WHOLE NEW EXPERIENCE! The amazingly delicious original Tickleberry – a tart blueberry in a thick coat of milk chocolate… Yum! And when our original product became so popular we just had to try out some new ideas, so now we can offer cherries in milk chocolate (and for a special treat, cherries in rich dark chocolate), apricots in milk chocolate, and our special taste for early summer, strawberries in dark chocolate. For an intriguing contrast in flavors how about cranberries in white chocolate with just a hint of orange? Or our special cranberries in decadent dark chocolate, or our brand new real raspberries in dark chocolate. You can come on in and try them for yourself since we do provide free samples in our gift shop (really this is a trick on our part since these chocolates simply sell themselves.) You’ll see! If you can’t come in to visit us, you’ll find these little treasures on our on-line order page. Tickleberry’s was created in 1987 by Dale and Jenette Hoy. Canada’s Yukon, Dale and Jen’s home at the time, provided a wealth of wild berries that they lovingly turned into the very first jars of Tickleberry jams. Tickling the berries off the bushes every fall was always a race between the local bear population fattening themselves up before hibernation and Dale and Jen and any family and friends who could be persuaded to challenge the bruins in harvesting the wild fruit. In 1988 while on a family holiday traveling through the Okanagan Valley in British Columbia Dale and Jen fell in love with the lakes and hills and an abundance of fresh fruit available. The decision was made to pack up and move the family from Whitehorse to Okanagan Falls and change Tickleberry’s from being a part time to a full-time business. In the spring of 1990 Dale and Jen were able to open their own ice-cream parlor at the present location on highway 97 heading south out of Okanagan Falls. With the help of three wonderful children and a much appreciated staff Tickleberry’s makes it’s own chocolates, fudge, kettle korn and of course serves more than fifty flavors of ice-cream. To the many thousands of locals and visitors who come back every summer a big thankyou for supporting us all these years!